This entry was posted on April 8, 2014 at 10:14 am and is filed under breakfast cereal, Cap'n Crunch, Ghostbusters, movies, podcast, pop culture with tags breakfast cereal, Cult Film Club, Ghostbusters, movies, Nerd Lunch Podcast, podcast, pop culture. You can follow any responses to this entry through the RSS 2.0 feed. You can skip to the end and leave a response. Pinging is currently not allowed. I spent 4 hours in the car yesterday and the time flew by because I was listening to the Nerd Lunch and the Atomic Geeks podcasts the whole time. 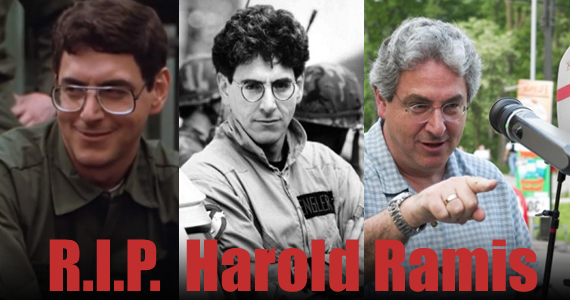 I caught the CFCPod Harold Ramis tribute episode last week, and it set me on a hunt for a copy of Stripes on DVD. Excellent, Brian. EXCELLENT. Stripes is awesome. Glad we could entertain you on your road trip.